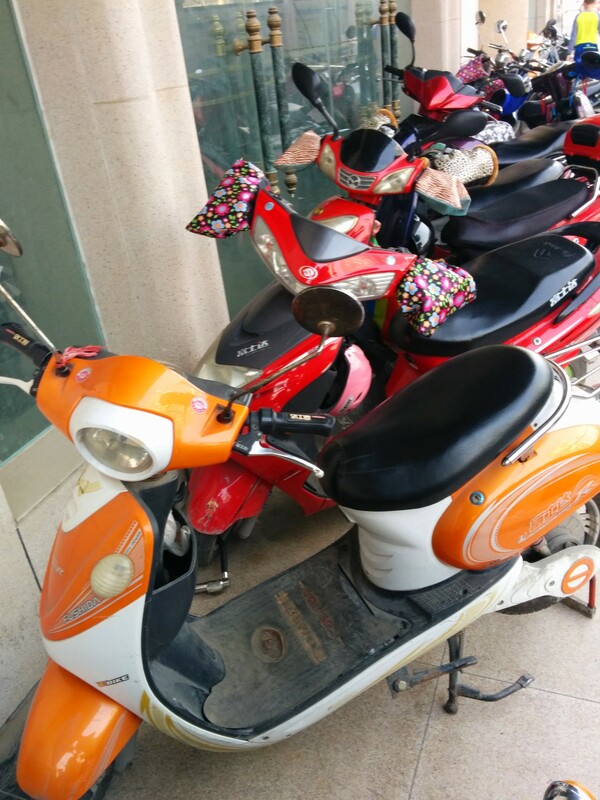 Scooter mitts are a fantastic invention. 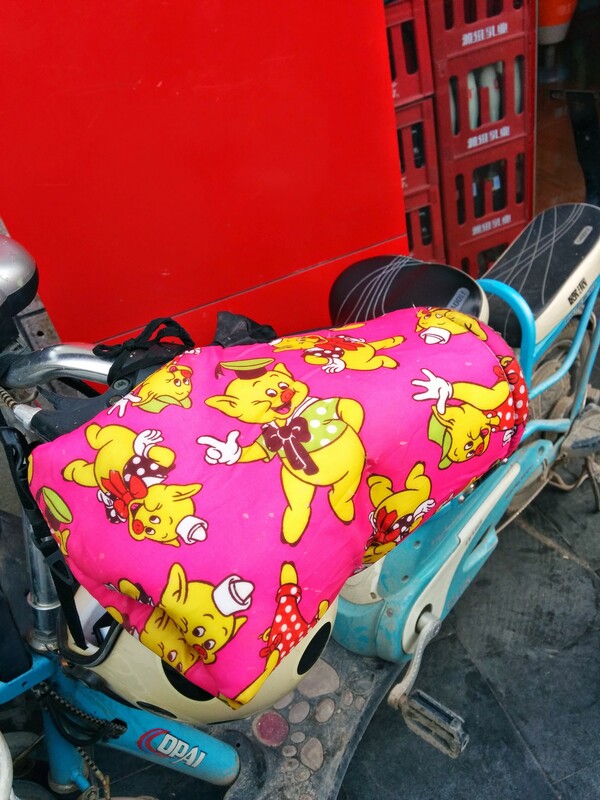 In the winter, these oven mitt cousins grace the handlebars of pretty much every scooter in sight here in China. Except that rogue in the front. 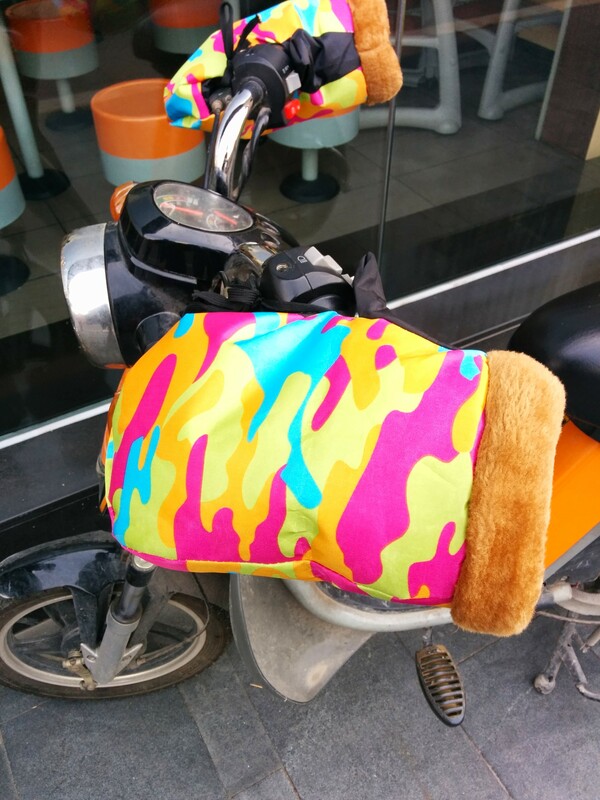 Scooter mitts are very thick, with a windproof, water-resistant outer layer, and a warm, fuzzy inner layer. They do a great job of keeping your hands warm even in cold, misty rain. In the past, I tried using just regular gloves, but they didn’t help as much. 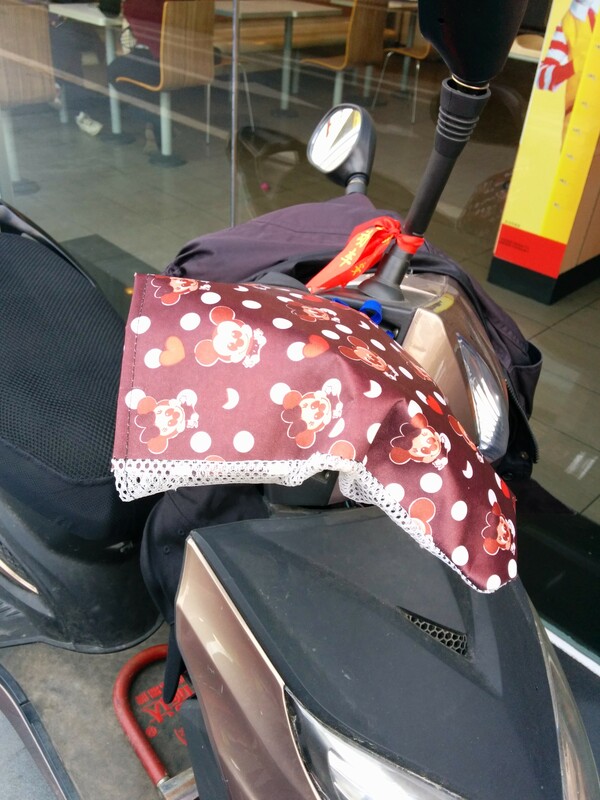 There’s a whole lot of cold airflow right there, so it helps to have serious protection for your hands. Besides being functional, they are a way to express yourself since they come in a wide variety of colors and designs. 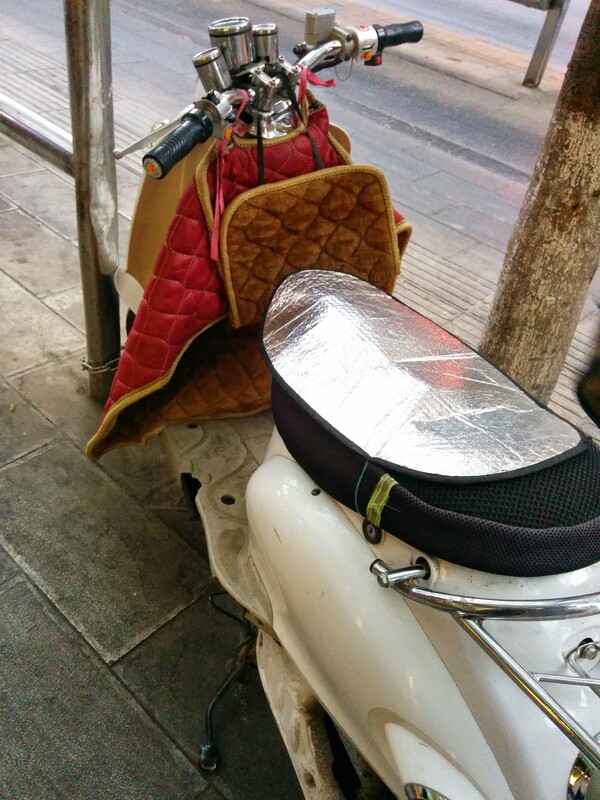 If the scooter mitts aren’t enough to keep out the chill, you can upgrade to a full scooter coat. I don’t even know what to call this thing, but it’s like a puffy jacket/lap blanket combo. 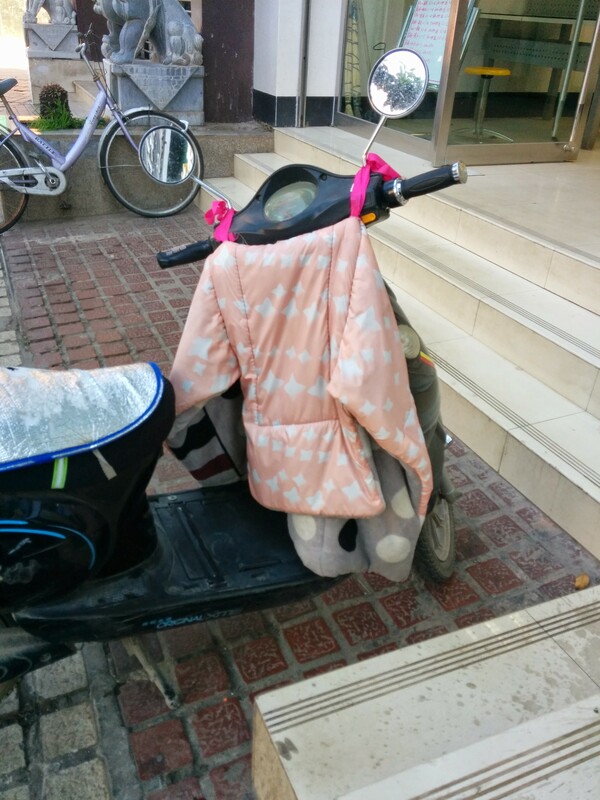 It normally has a fuzzy lining that attaches to the front of the scooter. It covers your lap and arms as well. 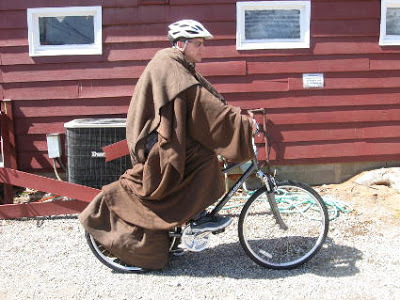 So, basically a Scooter Snuggie. They look pretty warm and cozy, don’t they? And more practical than this. May the Force and warmth be with you. Where everybody knows your name. And your apartment number.